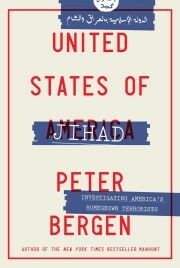 Few Westerners know Osama bin Laden as well as Peter Bergen, CNN terror analyst and author of “Holy War, Inc.” Bergen sat down with bin Laden as a journalist in 1997 and interviewed the soft-spoken man who would become America’s biggest nightmare. Bergen was less than impressed with bin Laden’s charisma but found him interesting, nonetheless, and has been following the Islamic fanatic ever since. Despite his impact on history, Osama Bin Laden remains shrouded in a fog of myth, propaganda, and half-truths. For eight years I have been interviewing people close to him and gathering documents, including his own letters, in order to fill out the picture of this mysterious man. He was a nice, quiet boy, a loner, kept pretty much to himself. Then he got a little funny in the head — but we never saw it coming. So suggests Osama bin Laden’s high-school English teacher, remembering him as “extraordinarily courteous . . . probably partly because he was a bit shyer than most of the other students.” From shy teenager to world-renowned criminal: The career arc that CNN correspondent Bergen’s oral history describes surely seemed unlikely to the wealthy Saudis among whom bin Laden came of age, though all the signs were there; a neighbor, for instance, recalls that though bin Laden was fond of Westerns and kung-fu movies, he was also a priggish fundamentalist who dreamed of liberating Palestine and chided his siblings for ogling the maid and wearing short-sleeve shirts. PETER BERGEN, CNN TERRORISM ANALYST: Well, I think there are two leading candidates. One is, of course, Zarqawi’s group which goes by the name of Tawhid when it was based — when he was based in Jordan. “Tawhid” is the word for the unity of god. When the United States started sending guns and money to the Afghan mujahideen in the 1980s, it had a clearly defined Cold War purpose: helping expel the Soviet army, which had invaded Afghanistan in 1979. And so it made sense that once the Afghan jihad forced a Soviet withdrawal a decade later, Washington would lose interest in the rebels. For the international mujahideen drawn to the Afghan conflict, however, the fight was just beginning. They opened new fronts in the name of global jihad and became the spearhead of Islamist terrorism. The seriousness of the blowback became clear to the United States with the 1993 bombing of the World Trade Center: all of the attack’s participants either had served in Afghanistan or were linked to a Brooklyn-based fund-raising organ for the Afghan jihad that was later revealed to be al Qaeda’s de facto U.S. headquarters. The blowback, evident in other countries as well, continued to increase in intensity throughout the rest of the decade, culminating on September 11, 2001. On Monday a Spanish court sentenced Taysir Alouni , a fifty year old al Jazeera television reporter with a heart condition, to a term of seven years for “collaboration with a terrorist organization.” Alouni had been al Jazeera’s bureau chief in Afghanistan during the Taliban era, one only of a couple of television reporters based full time in Kabul who covered the ultra fundamentalist movement. The evidence that was used to convict Alouni was that in 2000 he had given $4,500 to some Syrians living in Afghanistan who were alleged to have been part of al Qaeda. An important part of the supposed evidence of Alouni’s collaboration with al Qaeda was also an interview he conducted with Osama bin Laden six weeks after the 9/11 attacks. Al Qaeda, which means “the base” in Arabic, lost its physical base in Afghanistan after Sept. 11, 2001, so now its ideological base can be found not in the training camps of the Hindu Kush but on the Internet and in the books that leaders of the movement serialize in Arabic newspapers. These Web sites and publications are aimed at reaching a wide audience in the Muslim world. For instance, the London-based Al-Sharq al-Awsat is arguably the most influential newspaper in the Arabic-speaking world, while Abu Musab al Suri’s 1,600-page history of jihad, The International Islamic Resistance Call , was posted to a jihadist Web site in Dec. 2004. Once it was posted, the book could then be copied to thousands of other such sites. It turns out that the first truly virtual books are being published not only by Silicon Valley whiz kids but also by jihadists. It may have been a very mixed year for America’s progress in the war on terror, but it was a very good year for book buyers trying to understand the evolution of al Qaeda, the Bush administration’s conduct of the war on terrorism, and the future direction of jihadist terrorism.